BREAKDOWN: When Andersonia’s main computer broke down, it became an international incident. 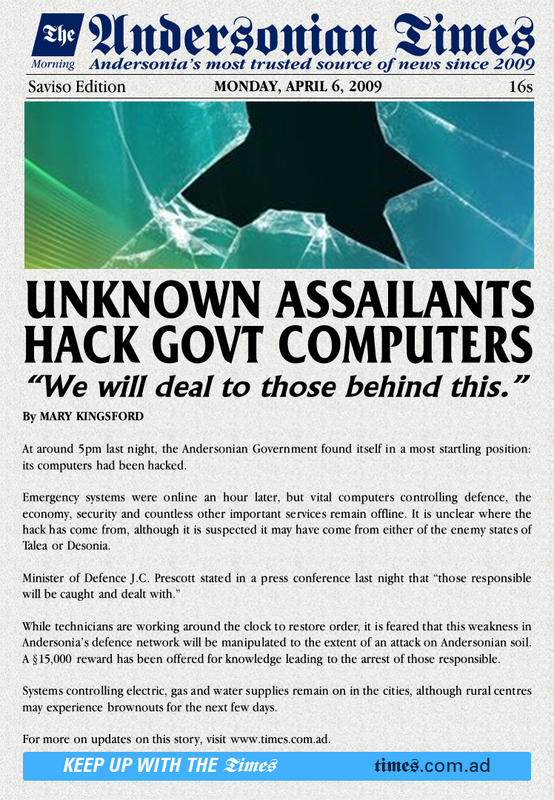 Today’s article from 6 April 2009 reports on a computer breakdown, which in typical Andersonian fashion was reported as a hacking. The computer in question, an already fragile Vista computer from early 2007, was revived a few days later, but only weeks afterwards died completely. The tower now resides in the possession of the National Centre of Computing’s Havilland maintenance centre, where it has not been switched on in over five years.